If you've built a water-cooled PC, you'll know what a struggle it can be to find space for large radiators in most modern cases. With the ever popular Lian Li V2000 now discontinued and the SilverStone TJ07 long in the tooth, it's no wonder that many modders have built their own case instead. Thankfully, water-cooling manufacturer Phobya has an extremely exciting project for all you budding case designers and water-cooling enthusiasts out there. It's offering you the chance to design your perfect water-cooled case and have it professionally built. It's going to be picking one lucky contender, taking their design and turning it into reality. 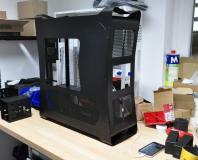 the new case will form part of a new line of water-cooling-inspired cases made by Phobya and will be sold around the world - you even get your own sample of your case, kitted out with water-cooling gear, and you get to name it too. 1st Place - you get your case built and sold through out the world - you even get to name it. 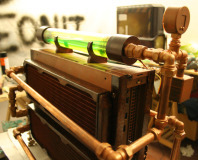 Phobya will send you one too, packed with water-cooling hardware. 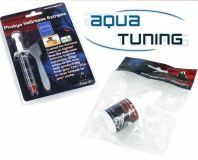 3rd Place - a £50 Aquatuning sponsorship voucher. will see everyone post rough designs of their entry with the deadline being Sunday 28 November 2010 - you have four weeks to enter. Stage one is for rough concepts, experimentation and for you to take on board advice from other forum users. Then it's the community's turn - bit-tech readers will vote for their favourite design and the best will go through to the next stage where their designs will progress further. See below for the design guidelines. will begin in the second week of December with the winners from Stage 1 progressing with their designs. You'll have another four weeks to add some serious detail and make any major changes to your design with input from the community. As with stage one, bit-tech members will vote on their favourite designs and the best will go through to the final round. will begin in February and is the time to add all the detail - colour, lighting and those subtle bits that make every case unique. It will be your chance to make your case as flexible and capable as you want. You'll have another four weeks to make these changes, then the final round of voting will take place. The best three designs will go to Phobya and it will decide the winner. You must submit your final designs for each stage to modding@bit-tech.net and in this thread in the Aquatuning sub-forum for voting before the deadline for that stage. The deadlines will be clearly posted in the thread for each stage. There's no minimum post count, just register here. Don't worry if you're no good at rendering, we'll accept any form of design from a scanned/photographed pencil drawing to a 3ds Max render. We do recommend trying Google SketchUp. Templates for radiators can be found here. You have the choice of designing a case based on a midi-tower or full-tower or a unique design of your own. The following specifications must be considered but aren't mandatory. You should include designs of the bare case and with hardware installed if possible. Other original designs will be accepted but the case must be easy to build. Extra points will be awarded for this and also for regular updates to your designs in the thread. So, head over to the Aquatuning sub-forum and start posting your designs. And if you've got any questions, feel free to ask via the main bit-tech forum. Good luck! If you want to get your mits on all sorts of free PC gear, how about reviewing it for Aquatuning?